Lee replaces term-limited GOP Gov. Bill Haslam. Later Saturday evening, two inaugural balls are planned in downtown Nashville. 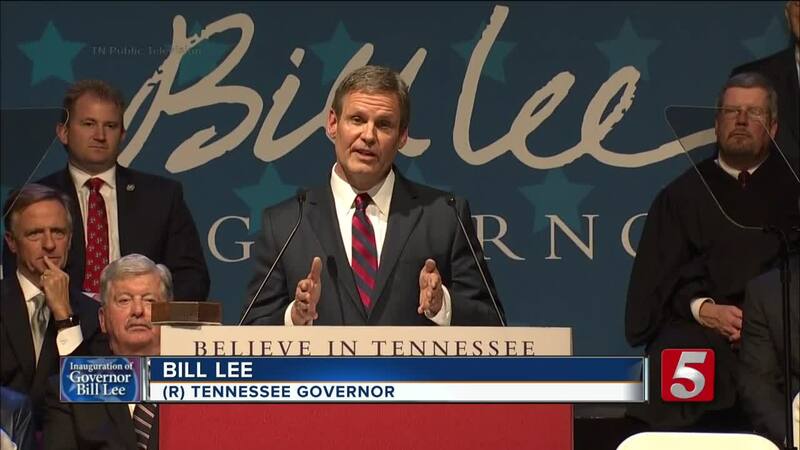 Lee's religious faith became a defining characteristic along the campaign trail. Before the swearing-in ceremony, Lee attended a packed worship service where multiple high-profile Christian musicians performed. Lee was forced to move inauguration indoors after forecasts warned of severe rain and thunderstorms. It was the first time the ceremony hadn't taken place outdoors in front of the Capitol in more than 40 years. Former NASCAR driver Darrell Waltrip, former Nashville Predators hockey player Mike Fisher, outgoing Gov. Bill Haslam and high-profile Christian musical acts were among those on hand with incoming Gov. Bill Lee for a worship service just before his inauguration. Lee's team estimates that about 2,500 to 2,700 people attended the worship service Saturday morning at the Grand Ole Opry House just hours ahead of Lee's inauguration. Performers included Michael W. Smith, Steven Curtis Chapman, Nicole C. Mullen, Matthew West and others. Lee focused heavily on his Christian faith on the campaign trail. 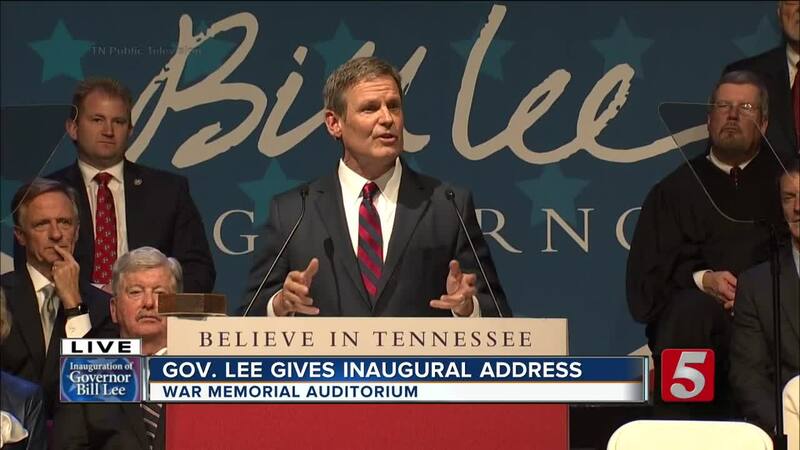 Gov.-elect Bill Lee will soon be sworn in as Tennessee's next governor. 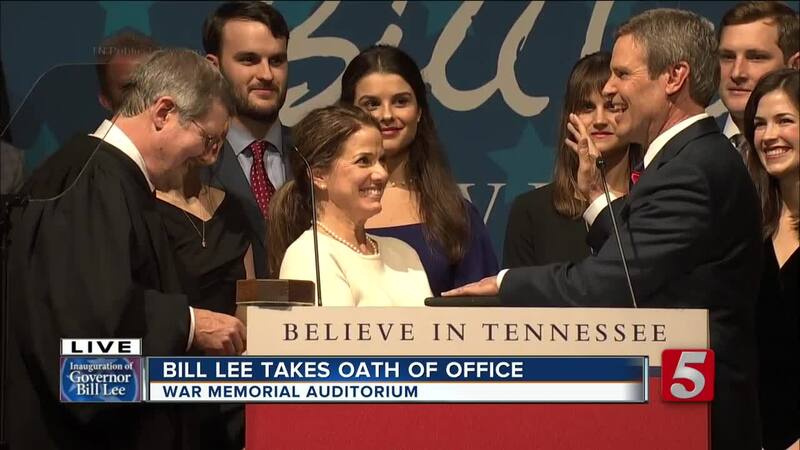 Lee, a Republican, will take the oath of office Saturday at Nashville's War Memorial Auditorium at 11 a.m. Lee's team was forced to move the event indoors after weather forecasts warned of severe rain and thunderstorms. The ceremony had been planned outdoors on the adjoining Legislative Plaza, where inaugurations have historically been held. The 11 a.m. event Saturday is free and open. Admission will be based on the venue capacity of the auditorium. Lee is participating in a number of events this weekend as he is sworn in to replace term-limited Republican Gov. Bill Haslam. The Franklin-based businessman defeated former Democratic Nashville Mayor Karl Dean in November. Watch the Live Inauguration here!